Monday, August 10, 1914: We were busy washing this morning. Two mornings prior to this one I escaped wash days as I found some errand to take me away for the morning. It was a big one this time. We are getting some of our things ready for the trip. Told Ruth I wished the time would soon pass. Grandma and her sister Ruth were going to visit Niagara Falls later in August. Doing laundry was more work back then than now. Prepare melted soap for the washing by using bits and pieces and ends of soap which have been left. Cut them fine, and shave up as much more as is necessary, or buy soap chips for the purpose. Place the soap in an earthen jar, just cover with water, and set the jar in the oven or on the stove until the soap is melted or dissolved. Use in the proportion of one gallon of water to one-fourth pound of soap. This should be prepared the day before the family washing is to be done. Portable tubs are usually made of wood or of galvanized iron. A wooden tub is heavy to handle and requires special care in dry weather to prevent its falling apart but it holds the wringer well and is easily kept clean. A galvanized iron tub is light, and not difficult to clean but does not hold the wringer unless fitted with wooden cleats and clamped to the wash bench. Washboards are in different patterns and made of different materials. A wooden washboard probably injures the cloths as little as any kind, but is rather unpleasant to use unless one is accustomed to it. In selecting a glass or metal-covered board, choose one that is not too much corrugated, because many angles wear clothes as they glide over them. When the washing is finished the washboard should be washed, wiped dry, and put away in a clean, dry place. Each part of the wringer should be perfectly clean. When through using it each time, the rollers should be wiped with a dry cloth, or if much soiled, they should be rubbed with a cloth wet with turpentine or kerosene, washed with soapsuds, rinsed, and wiped dry. When clothes have been well washed in one suds, they can usually be made clean and white by placing them in tepid suds, bringing to the boiling point, and allowing them to boil for a few minutes. There are a few points to be remembered in preparing clothes for boiling. They must not stop boiling after they begin, and when taken into tepid water from the boiler each piece, must be punched under the water as soon as put into the tub. Exposure to the air seems to set the dirt, and cold water contracts the fibers, thus holding the dust particles, instead of allowing them to fall out, as they should when the clothes are rinsed or manipulated in this water, preparatory to the rinse water proper. Obstinate stains on white goods may sometimes be removed by soaking the spot in turpentine, then washing, boiling, and finishing. Clothes lines are of different kinds, and may be either movable or stationary. There are several patterns of clothes pins, but the plain, simple ones are usually most satisfactory, as they are inexpensive, easily washed when dirty, and do their work very well. And, then the clean clothes need to be ironed . . .
Posted on August 10, 2014 August 9, 2014 by SherylPosted in OtherTagged family history, genealogy. Great to see Helena writing more. It’s like mounting excitement with the trip ahead. I agree. . . She does seem much more energized and motivated to write. I’m exhausted just reading that description of doing laundry…no wonder Helena was glad to have ‘escaped’ it last time. The technology and methods for laundering clothes are one of the things that have really changed a lot across the last hundred years. No wonder Helena likes to get out of doing the laundry. What a chore. But, at least, there were helpers. It apparently was a huge–and very time-consuming–chore back then. I remember an old woman (when I was a kid) who still used the wash board. She insisted she could get the clothes cleaner than with the new fangled washing machine her son bought her. 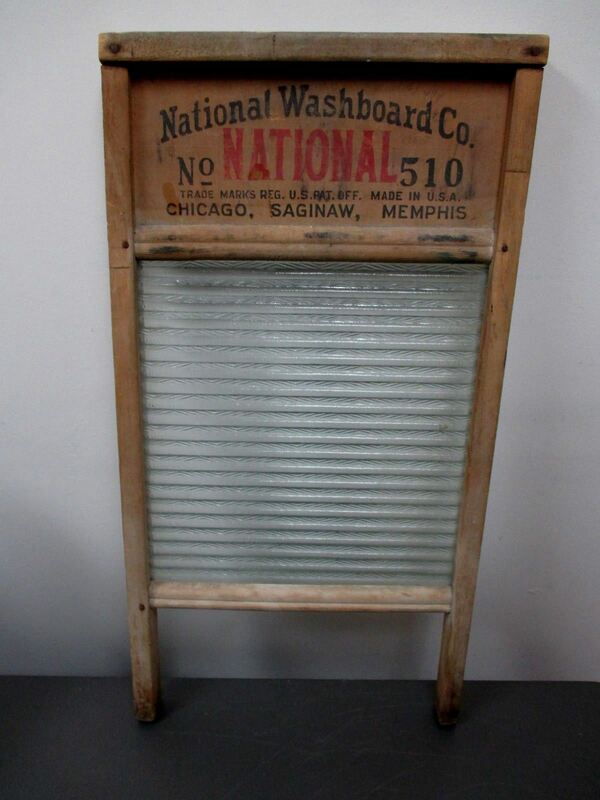 Maybe a washboard would get them cleaner, but it also seems like a washboard would wear them out more quickly. I surely think so, but that’s what she wanted to do – I couldn’t see it – Way Too much work!! I remember when I was a little girl, Monday was still “wash day”. Grandma is so wordy these days: love it! I’m also enjoying her more chatty diary entries. “No. National 530” which is not much later than the one pictured. I wonder how they numbered them??? I can remember using it as a young girl and only use it now for a keepsake. I just love having old things like that around!!! I don’t know how they numbered them. When I did this post I wondered if the one in the photo was a hundred years old–or if it was a little newer. I have vague memories of Grandma with her galvanized wash tubs out in the back yard. By the time I was maybe four or five, she had an electric washer, but it still had wringers and all that.So did Mom, as a matter of fact. The first “modern” washer and dryer didn’t show up until they built a new house in 1957 or so. I still remember her delight in having laundry day simplified. Thanks for giving me a sense of when the various types of washing machines were coming onto the scene. I knew that my family had an electric washer for as long as I can remember–but I had no idea how long before my time they got it. I’ll take today’s easy care fabrics. 🙂 I don’t think that I’ve used an iron in at least a year. I don’t think I’ve used one in over 15 years! This is a fine memoir about a task that once occupied a huge amount of female labor in nineteenth century culture and one that’s so easy to take for granted now. The strictures on soap, rinsing and temperature control point to the important role in advances in detergents and other additives too. My son’s family recently replaced their washing machine. Their old faithful had done its duty for some 18 years of frequent use and finally gave up the ghost. Now that’s reliability. I like the way you framed laundry within the culture of the times. It’s hard to imagine how much time women must have spent caring for clothes back then–and how that activity would have affected the time they had available to do other things. I bet there were plenty of dirty clothes from living on a farm. Yes, farm work can create lots of dirty clothes. They may have often worn “dirty clothes” when doing farm work–and then changed when they came into the house. I would have been glad to escape on an errand on laundry day, too. That’s a lot of work! We have no reason to complain about having to do laundry after reading this! It’s amazing how much the process of laundering clothes has changed. I’m so thankful for the modern days laundry machines and soaps. I can’t imagine having to to do the rough day of laundry the way they had too. Ah neat on going to NF. I can only imagine the wonders they’ll see and experience on they’re journey. Since it was so time-consuming to do laundry a hundred years ago, they probably tried harder to keep clothes clean. I’m thinking about how women often wore aprons back then–whereas now, if something splatters on my clothes while I’m cooking, I’ll just throw it into the laundry. Every time I feel sorry for myself, when doing the laundry, I’ll think of Helena! I’ve often thought about how we take for granted our modern washing machines! I think I could give up most of my appliances … but the washer! I completely agree! I tend to handwash alot of dishes anyway in that there’s only me in the house, now. And the microwave is not something I use frequently. Searching for things to be grateful for? Well clearly, here’s one! I think, though, I might own a lot fewer clothes if I had to go through this to keep them wearable. Old houses generally have very few closets–and the closets in them tend to be small. It probably has something to do with how time-consuming it was to make clothes back then, and the time-consuming process of caring for them. I think it was simpler than that, Sheryl. I think it was a matter of cost. People didn’t own nearly as many clothes because they were expensive and ordinary people did with less. Unlike cars or appliances, making clothes is labor-intensive. Now, not so much because of the global economy and extremely cheap labor in third-world countries. There are entire towns in India built around giant clothing factories. Lots of excitement in her voice now for the upcoming trip! !